Freedom of Speech, F.O.S. Fashion Frame Trends wish is to EXPOSE so many areas, including the ART WORLD to everyone. It will not be commercializing it or devaluing the value of any art. It actually will be exposing, sharing art for all to see and appreciate. Last Sunday in the NY TIMES there was a great article that included a photo of a piece of art by Albert Oehlen. It looks fabulous as an F.O.S. 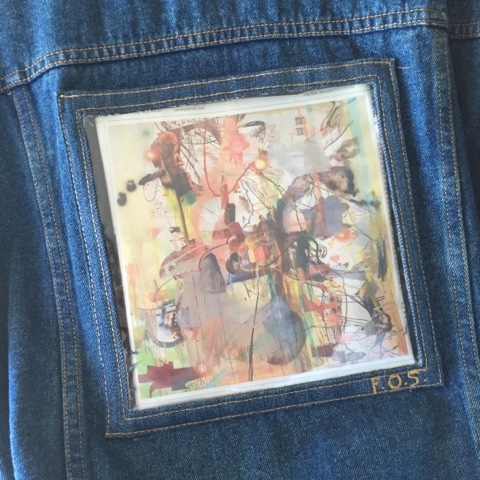 INSERT in a denim frame and was a perfect fit . Inserting works of art would truly be beautiful and inspirational for anyone who may lay their eyes on it while someone is walking the streets DISPLAYING famous, not famous, personal or art by their talented family and friends. As long as we own the actual printed item, in for example, magazines and newspapers, we as individuals are permitted to display and wear them if we so desire for our own individual pleasure. Think how cool it would be to be spreading art in the streets of the world. Now that is cool! 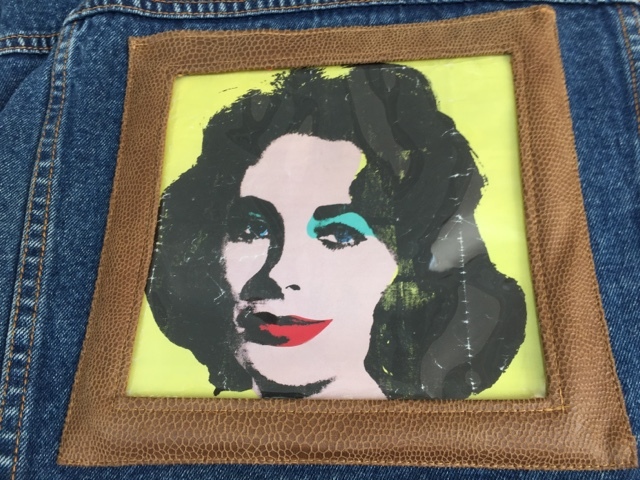 We must include one sample Andy Warhol of Elizabeth Taylor who are both admired and adored for the contributions they made in this world.